Gigantic (game, 2017). A free-to-play strategic hero shooter video game by Perfect World Entertainment/Motiga. Developed by Motiga Inc., Perfect World Entertainment. Official Trailer. 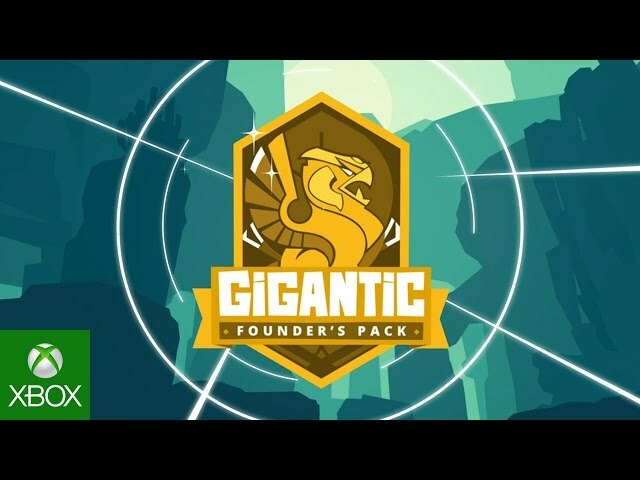 Gigantic is a free-to-play strategic hero shooter video game by Perfect World Entertainment and Motiga, developed by Perfect World Entertainment and Motiga Inc.. 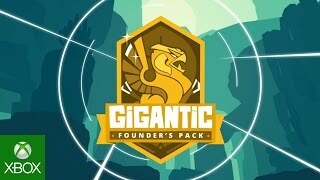 Gigantic: Open Beta Launch Trailer. Teams of five players unite along with a magical behemoth known as a Guardian with the ultimate goal to destroy the opposing team and their Guardian. There are 20 playable Heroes for players to choose from, all with a wide variety of abilities. To destroy the other Guardian, Heroes have to gather power for theirs. You can kill enemies to get power. But most of the power is collected from the land itself. There are points on the map where Power will appear. You can see when and where power is on the minimap. It takes a while to collect power, so instead you can summon creatures on your half of the map. All the different creatures have different strategic abilities. Creatures also collect power faster. But if a creature gets killed, it also grants power. Killing a Hero or a baby creature grants 10 power, killing an adult creature or collecting power grants 20. If your Guardian has 100 power, you may attack. If your Guardian rampages, you have 20 seconds to get to the opponent Guardian on the other side of the map. An obvious weak point will appear on the forehead, which should be hit in order to wound the Guardian. If you manage to deal enough damage, the Guardian gets wounded. If you do not deal damage fast enough, the rampage ends and a new race for power begins. When the opponent rampages, you have 20 seconds to get to your own Guardian. All the power you've gathered so far will become a breakable shield. The enemy Heroes will try to deal a wound, so protect your Guardian to prevent this. You can kill enemies, which will grant you power and strengthen your shield. The opponent's kills extend the time the opponent can damage your Guardian. Teams of five players unite along with a magical behemoth known as a Guardian with the ultimate goal to destroy the opposing team and their Guardian. There are 20 playable Heroes for players to choose from, all with a wide variety of abilities. Gigantic was scheduled to be released by Perfect World Entertainment and Motiga on July 19, 2017 and on July 20, 2017.